Pegasus bath faucet parts are elegant additions to your decor. 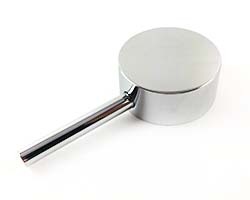 Chrome sleeves and lever handles are just a few of the Pegasus faucet repair parts that you can find in stock each day. 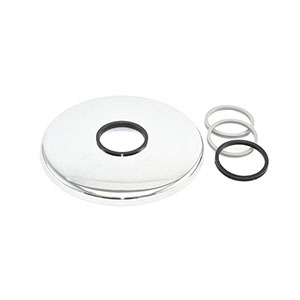 Underneath your Pegasus shower faucet replacement parts are the operational components called stems or cartridges. Add a Pegasus thermostatic shower cartridge to your bathroom to see a difference in the water flow. 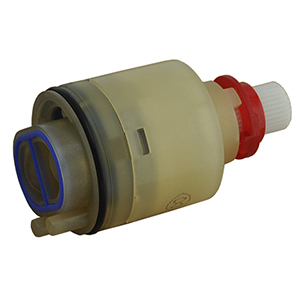 This particular cartridge comes with new backflow preventers that enhance your faucet's use. Every Pegasus shower cartridge is made with quality parts that fight off wear every day. In fact, think about buying a kit that includes the cartridge, sleeve and other core parts. You'll complete your project with no frustrations. When you purchase a Pegasus pressure balance cartridge, stock up on other Pegasus shower valve parts too. If any issues arise after your repair, you'll have extra Pegasus bathroom faucet replacement parts ready to go. Pegasus - 161-263-1 - New Style Plate (6-3/4") with out Screws (Chrome). Please Note: Plate needs to be caulked to wall. Pegasus - 161-263-2 - Sleeve with Red Button (Chrome). Pegasus 161-263-3 - Thermostatic Cartridge with Backflow Preventers. 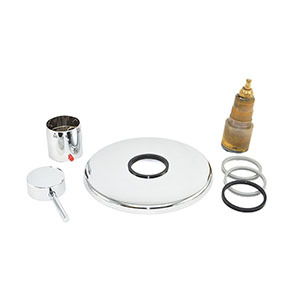 Includes: Thermostatic Cartridge, Chrome Sleeve with Red Button, Chrome Handle, New Style Chrome Plate (6-3/4"). Please Note: plate must be caulked to wall. Pegasus - 161-263-5 - Lever Handle (Chrome). 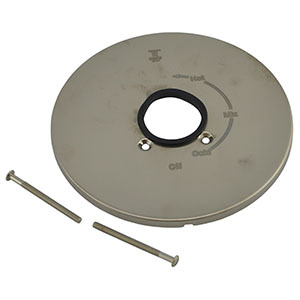 Pegasus - 161-263-1-BN - Plate with Screws (Brushed Nickel). Please Note: Limited Stock Available. 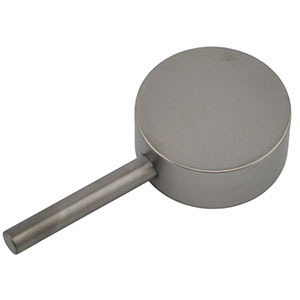 Pegasus - 161-263-2-BN - Sleeve with Red Button (Brushed Nickel).